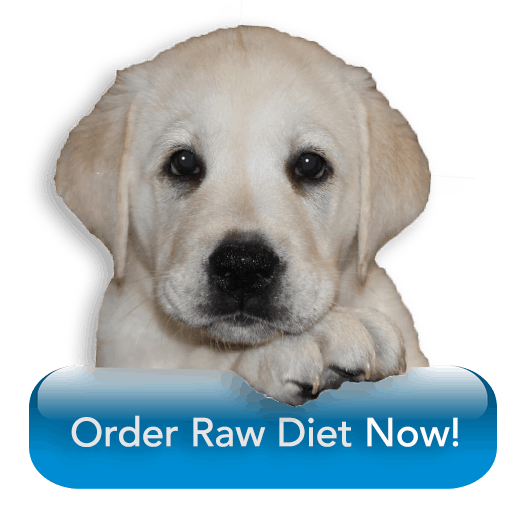 Her 1st food on the list (homemade raw diet) is very time consuming, so we recommend a raw diet (#2 on her list, commercial raw food diet) formulated by veterinarian Dr. Ian Billinghurst (DVM) based on his 40 years of research. The BARF (Biologically Appropriate Raw Food) World “multi-mix patties” are convenient and are shipped right to your door. This is what we recommend MOST for our dogs and puppies. (They look like large hamburgers) Feed about HALF of the amount on the bag (that would be for a very active, working dog) Also, be sure to use coupon code #1079 to get FREE FOOD in your first order, and also save and extra $25 off each following order. By that time, its about the same price as a premium commercial kibble…but the BEST, most appropriate diet you can feed your dog. Note: not all dog foods touting they are “raw” are truly raw. Many are simply kibble ingredients in a ‘soft’ form. This is NOT true raw and still contain lots of processed carbs and starches with cheap protein sources. We ONLY recommend BARF World Patties because of the research and the formulator. As Dr. Becker mentioned, most dogs are deprived of the moisture that they really need in their diet because their whole lives they are on only dry kibble. However, we see the most common answer to this over the most recent years being smelly canned wet food which appears to be chunks of meat like substances soaked in gravy. And how fresh is that really? A balanced meal of raw veggies, protein, and meaty, ground bone is the most natural you can get when it comes to feeding your dog. Dogs do not need an excess of carbohydrates in their diet to thrive. Europeans are SO far ahead of us! They expect their dogs to live into their twenties and have been feeding this diet for hundreds of years. What we have found to be the most convenient and affordable for some, is a feeding regimen is to feed a half kibble (Life’s Abundance Dog Food), half raw diet. Not only will you see fewer stools on this diet, but with keeping the kibble in their feeding schedule, it makes it more convenient for when you do take a trip either with or without your dog. But we should note that BARF does carry freeze-dried nuggets now that you can have on hand when you travel or if you are away from home or your pet is at a daycare or boarding kennel. This way his body is still adjusted to kibble and you don’t have to worry about keeping patties frozen. And you know the kibble you are feeding, is a HIGH-quality one. Not to mention, both of these food companies deliver right to your door, deeply frozen which kills all parasites and bacteria. Can’t get much better than that! BARF World also makes countless other holistic products for your pet that you’ll find yourself adding to your inventory! Don’t overfeed–feed about HALF of what is recommended by weight on the bag (unless your dog is a working VERY active dog)… it’s better to spread out the feedings in small amounts at first, mixing the old food and new food for about a week. I also recommend fasting your pet for 12 hours before introducing the new diet. This way you can switch over more quickly. Or the FAST way: Feed last kibble meal in a.m. Fast for 24 hours and begin the BARF diet or Life’s Abundance the next morning. Follow our BARF World page on Facebook!